Buying holiday gifts can get expensive. But it doesn't have to. Homemade presents often mean more to someone because they show that you've put time and thought into them, rather than buying a simple gift card or winter accessory. This year, try making something from the heart for a person you love. Below are five easy, do-it-yourself gifts that won't hurt your wallet. What's better than a gift you can drink? Buy a six pack of beer and decorate each bottle to look like one of Santa’s reindeer. Wrap brown pipe cleaners around the tops of the bottles, and twist smaller pieces around to make antlers. Then hot glue on googly eyes and red pom-poms for noses. For those underage or not into beer, you can do the same thing using root beer. This is the perfect sentimental gift. You can get friends and family to send you photos and memories, or come up with them on your own. Write each memory or print a picture on a small piece of paper. Fold them and fill the jar. Then you can decorate the exterior of the jar for an added touch. This gift will serve as a reminder to someone that you care. 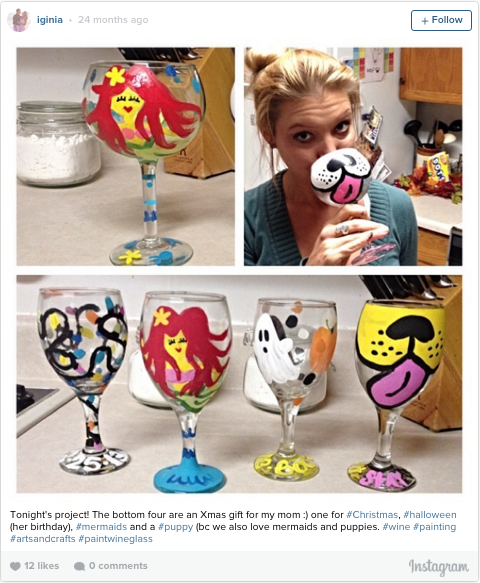 Sure, you could buy a wine glass with a fancy design at the store, but why not personalize it by getting your craft on? You’ll need wine glasses and glass paint, which can both be bought at a craft store for a low price. These are fun to make and allow for some creativity. You can also use other types of glasses, like shot glasses, beer pint glasses or mugs. 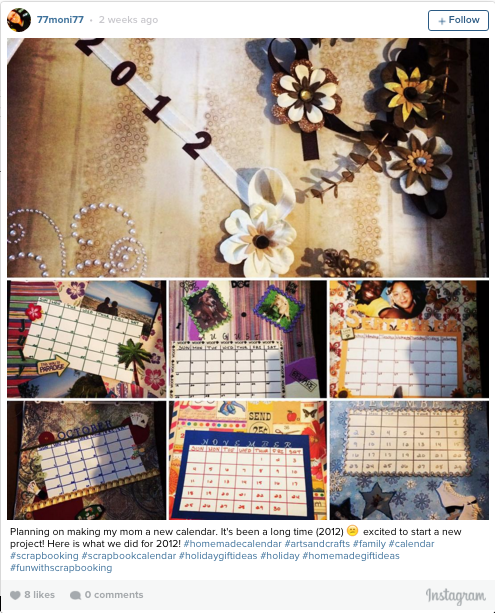 You can use calendar blanks or templates and add photos to each month. Add in important dates, special notes or quotes. This is another gift that can be personalized for each recipient. Create a booklet containing some of your favorite holiday recipes, and accompany it with an assortment of samples for your friends and family to enjoy. Who doesn't like food? Have you made your own gifts? Tell us in the comments.